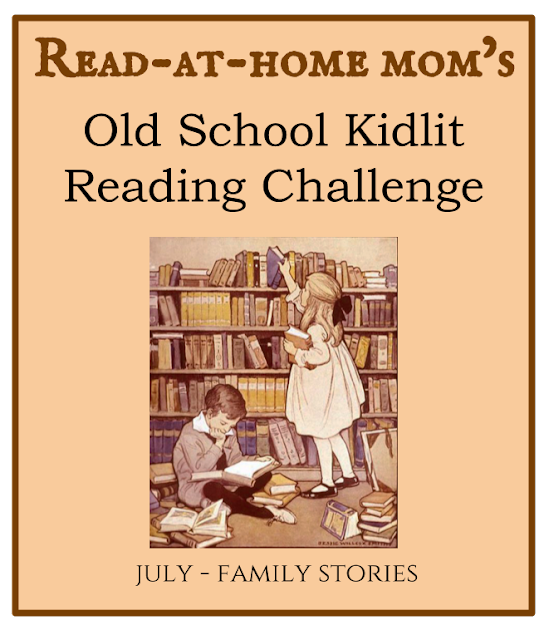 Month 7 of the Old School Kidlit Reading Challenge begins today! This month our focus is on Family Stories. To participate, read a book or books connected to this month's theme with a publication date in the decade of your birth or before. Post about it on your blog, or wherever you typically review books. At the end of the month, I will publish a link-up post for you to share your reviews from the month. Feel free to share what you're planning to read here in the comments and/or on social media using #oldschoolkidlit2017. Happy reading! I would say yes to Swallows and Amazons, definitely!